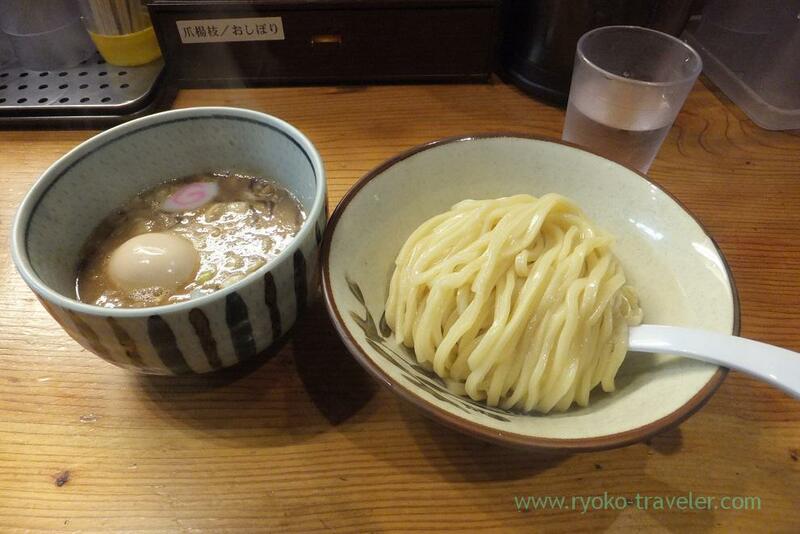 I rarely eat tsukemen, but I had wanted to eat tsukemen of Ginza Oborozuki once. 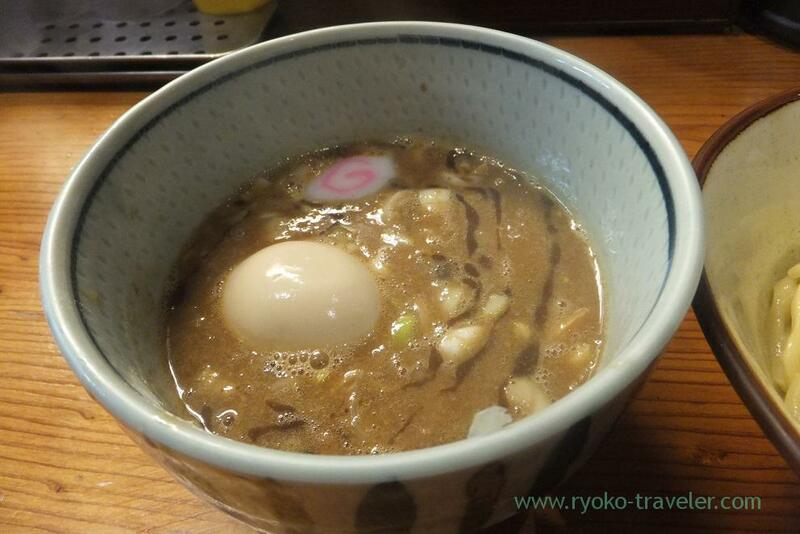 Oborozuki is very popular among people as tsukemen. Of course, they serve ramen, but their tsukemen is far popular. 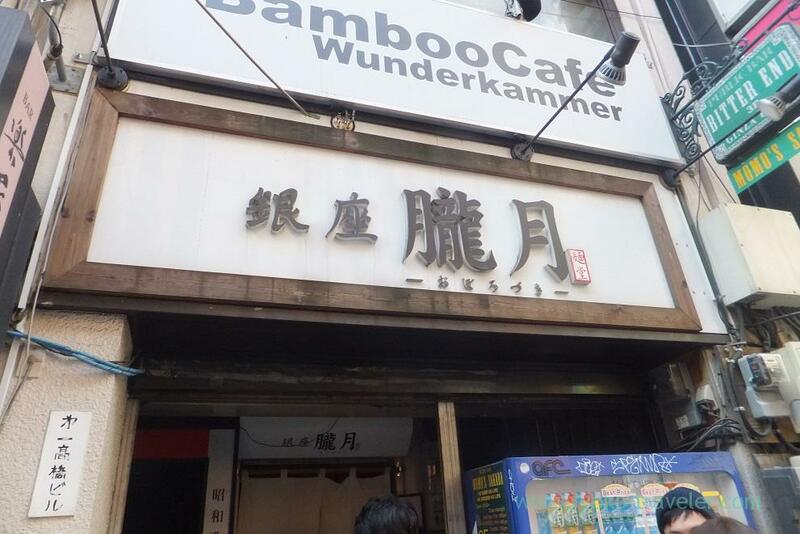 It stands at the center of Ginza and very close to Ginza subway station. The shop is so small and there are only 7 seats in the shop, and there are always many people in front of the shop. When I got to there past 2:30 p.m. on one Saturday, and I found there are 6 people still waiting there. And also about 3 people was waiting inside the shop. 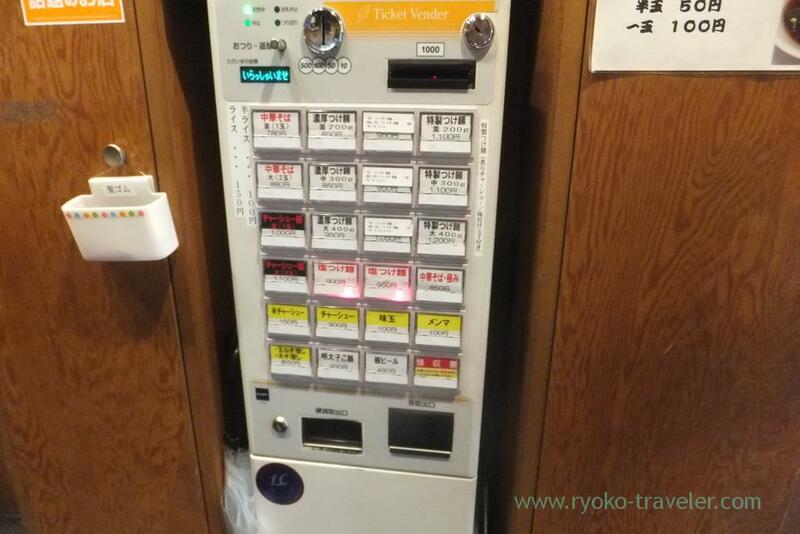 Though the lady took my order outside, I had to buy ticket at the vending machine. I bought a ticket of Noukou (rich) tsukemen (濃厚つけ麺, 800yen) with ajitama (味玉, 100 yen). All tsukemen have three sizes. Nami (normal), Chu (large) and Dai (extra large). Nami and chu is same price (800 yen). So, many people in line ordered “Dai”. But I thought I can’t eat so much. So, I chose “Nami”. They cook very carefully. It took much time to be served. But look at this. Beautiful noodles and soup ! It’s worth waiting. So, I recommend you visit this shop only when you have much time. 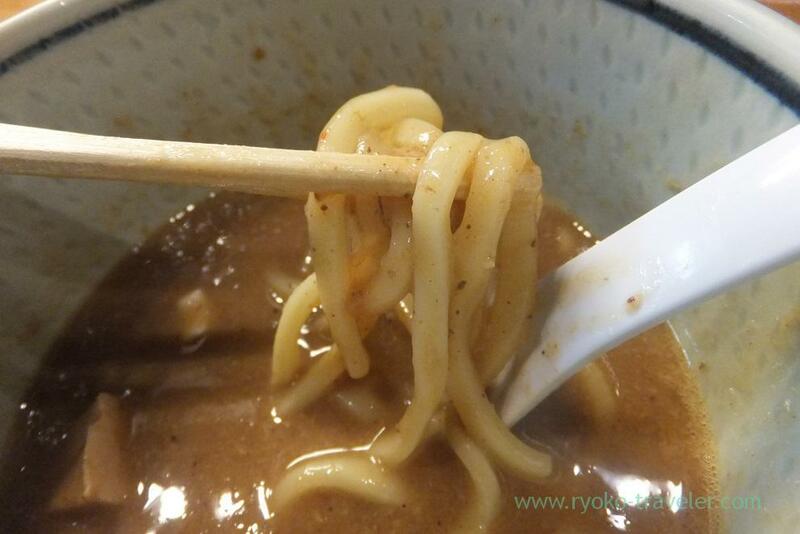 Once dipping the noodle into the soup, the thick soup cling to the noodle. As I mentioned, I don’t like tsukemen, but I like it ! 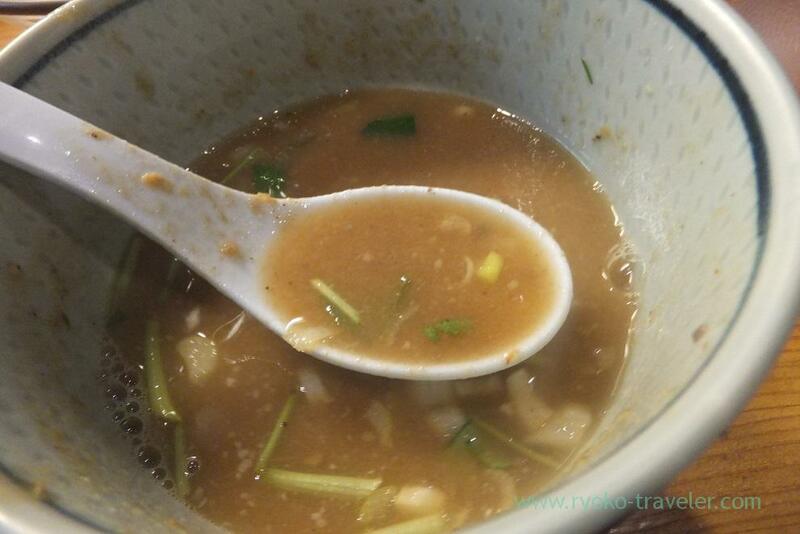 After finished eating noodles, the chef added soup into the bowl. The added soup had plenty of fishes tastes.